Buy this item and have another one of these shirts for £5.00 less. 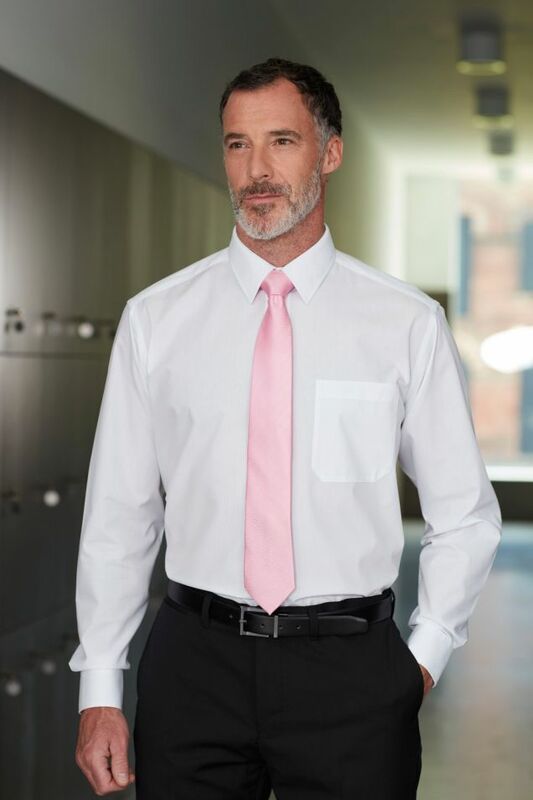 This range of Poly-cotton shirts is available in the 15 colour options shown. The design features a classic Breast pocket, handy for carrying a phone. Fabric is an easy care 65% Polyester and 35% Cotton. Very positive and helpful service from Debbie who went the extra mile and now has a customer for the future. The only shirt I've found that gives an extra length to the size I use. Lovely product, great quality and style, would definitely shop with you again. The shirts look good - I haven't worn one yet.